We’ve been living full-time with Roy the RV for 9 months now and have formed a lot of different opinions about him. In last month’s crowdsourced content poll, you voted to have us create a video of the best, worst and in-between of the Fleetwood Excursion (we’re shocked that was your choice by the way). So without further ado here’s where we dish the dirt about our home on wheels. There are a bunch of little things that we like about this rig from the Sony LED TVs, to the water pump switches throughout the RV, the entry light that turns on when we open the front door, the pet window and so on. On the other hand there are some little things we don’t like about it from the fans that are too tall for me (Nikki) to reach, to the knob that sometimes grabs us on the way out the door. But we tried to narrow it down to what we thought were the top 5 Best, Worst and the In-between about our 2014 Fleetwood Excursion. So, grab a seat (and possibly an adult beverage) as we pick apart poor Roy. Dometic Awning – Unreliable, ugly hardware, cheap (the motor has been replaced twice) and the wind sensor doesn’t work. Unfortunately this is the industry standard awning, but we’re trying to get a better one installed in future models. Faucet Fixtures – Kitchen faucet needs to be taller, Shower head is weak and uses too much water, Shower handles/controller doesn’t balance water well and bathroom faucet couldn’t be used without splashing water everywhere. Windows – Prefer the dual pane frameless Windows for security (they are more tinted), efficiency, noise reduction, looks and most important the ‘pop-out’ style that can be left open during rain storms. Swirly Paint Job and Square Design – Compared to Windy, our Monaco Vesta, Roy is pretty average looking when it comes to RVs. Front Windows – no day shade on front window, no day/night shade on side windows, don’t like the curtains at all, yuck! Residential Fridge – uses a lot of power but doesn’t need defrosting and can hold a lot more food compared to a standard RV fridge. Interior Design/Décor – In no way is this the worst RV interior we’ve seen, but it’s still not our style. 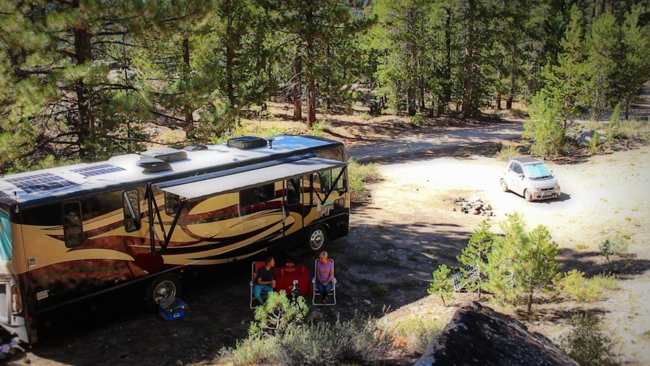 Size 33’ – Our dream size is 30’ but we’ve been getting used to a slightly larger RV with the extra space & amenities. Even at 33 feet we’ve been able to get in all the state parks, national parks and public lands so that hasn’t been much of an issue. Kitchen Space – Nice Working space and countertops, but not enough cabinet space in the right places, and the cabinets aren’t normal kitchen size so filling the cabinets can be awkward. Roof space – it’s great for solar because there’s not obstructions, at the same time I’d really like a vent in the bedroom to get better air circulation. Composite Tile Floors – Lightweight, durable, easy to replace a single tile, and they don’t crack like porcelain tile. Rear Engine Cummins Diesel and Freightliner Chassis – smooth ride, comfortable air suspension, plenty of horsepower and torque, the RV muscles up mountains with ease and coming down steep grades is no problem because of the engine brake. Washer-Dryer Combo – I made an entire video about how to use and why I love this washer/dryer combo. Drop Down loft bed – great for storage, perfect for the cat playhouse, and way better than a fold out sofa. Pure Sine Wave Inverter – Perfect for Wild Camping, easy integration with solar panels, and there’s multiple outlets wired throughout coach! If you’re wondering about the quality of the build let’s just say we’ve been pretty hard on Roy these past several months: We froze his tail off in the sub-zero snow capped Rocky Mountains of CO; we took him down the craziest 20 mile washboard road in da U.P. of MI; we survived two different hail storms in the Midwest; we left him in the middle of downtown Chicago, IL for 10 days while we explored the city; we dusted the heck out of him at Burning Man in the Deserts of NV; and now we’re sitting at 7,500 ft of elevation on top of a rocky mountaintop dirt/rock road in the National Forest near South Lake Tahoe, CA. We feel if the Excursion can survive a year with us I’m sure it can survive just about anything you can throw its way. Let us know what you think about Roy or share a few top likes and dislikes of your RV…we’d love to keep the conversation going for us and for the entire RV industry to see! So, Share Away! Happy owner of a brand new 33D Pace Arrow (formerly Excursion). I had a 31′ class C for the last 11 years and after taking an 6 week trip out of Alaska we decided it was time to upgrade. Just got home (Alaska) and after 2800 miles from Washington thru Canada on some pretty rough roads I very happy with the shake down cruise. Only thing requiring warranty work is the heater/air conditioner solenoid valve that is stuck on heat. As for complaints, the only thing that bothered me is the roller chain on the drop down bed rattles going over bumps. Will work on a fix for that. As for the coach, it’s solid, well built, nice fit and finish. The 300hp Cummings had the power to pull all the hills in the Canadian Rockies at no less than 45MPH. Being new to Diesel Pushers I really didn’t know to expect but we are very pleased with our purchase. Purchased a 2015 Excursion 35B, So far I really like this coach. The only issue so far is getting the refrigerator to run of of the inverter. Does the inverter have to be set up in a special way? Also there is a switch in the breaker panel that lights up red when turn on, I was told that it is to heat the cargo compartments and also told that it turns on the inverter. I understood that when you unplug from power it is suppose to switch to inverter power automatically. You should start by checking the owner’s manual, then call the manufacturer if you still can’t figure it out. Have already tried both of these. Will check both again. I realize time of year makes a difference. But would I get laughed at offering 30% less? I just purchased a new 2017 33D Pace Arrow (new name for Excursion) in Seattle at more than 30% off list. Dealers want the bring in 2018’s now and have to move thru any left over inventory. There were a few things I would of done different if ordered from the factory, but for the savings, I can live with the options the dealer ordered. Hi! RV Newbie here.. My Husband and I will be hitting the road in July for a 6 month trip but expect to live full time for at least a year. We fell in love with a Fleetwood Excusion 35B yesterday. We have been researching for 2 months and have a list of must haves/needs and the Excursion checked them all off with the exception of this models length (36′). We’ve been thinking that 30′ would be best but would consider up to 34′. What are your thoughts on length, especially for newbies. We want to see National parks and possibly boondock. We are people that cook a lot! Any advise would be greatly appreciated. We love your blog! People do it in 36’+ all the time but from our experience everything over 32′ becomes more challenging finding state parks and national parks, especially in CA. Have fun! YOU HAVE WAY TO MUCH TIME ON YOUR HANDS TO SIT THERE AND WRITE A BAD REVIEW ABOUT A MOTOR HOME THAT IS INEXPENSIVE. SPEND MORE $$$$$ AND YOU WOULD GET DAY SHADE IN FRONT AND BETTER FAUCETS, AND ALL THE OTHER STUFF YOUR WINING ABOUT. Whoa Mike! The viewers asked to see what they liked & didn’t like about the RV and I think they were pretty up-front saying that overall they were happy with it. No RV is perfect and even in a million-dollar RV there will be things not to like. 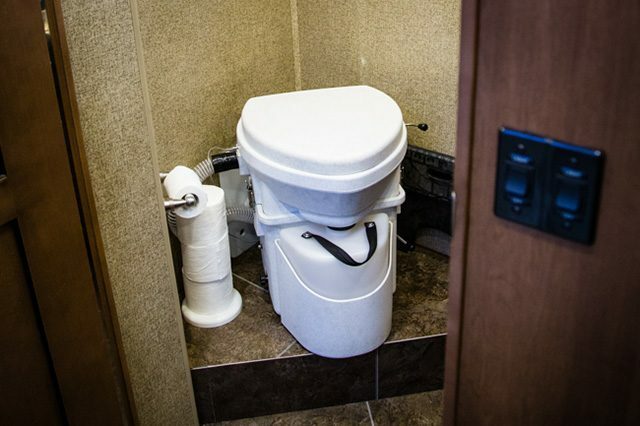 Thanks for sharing, I’m new to the RV world, so i’m really looking at all my options here right now and this helps a lot. After a long search, the on off valve to the ice maker is underneath the first drawer you come to in the bedroom, passenger side of the RV. That is just not a logical place, so the engineers are not good at make sense solutions. Our drain pipe from the kitchen sink, kinks when the front slide is opened. Another problem that should have been solved way back on the drawing board. Fortunately we like so many other things, we will just moan about the issues. LOL. Enjoyed your video. We’re looking to buy a pre-owned 2013 35B, but am wondering about the fridge. Will it require us to run the generator and/or be plugged up all the time for it to work properly? I would like to know what type of frig your Monaco had – probably a Norcold but which one? Which of the two refrigerators you had after that did you like best – and why? Of the refrigerators you know about, which would you choose? Just saw pictures of the interior of the 2016 Excursion 33D. What a difference! It looks like they listened to your suggestions, especially concerning the faucets. Nice job. Nice to see you’re having an influence on Fleetwood’s design decisions. I know you’re in a gas coach for now but it looks like it’s safe to go back into the Excursion pool aesthetically speaking. Have you seen the 2016 Excursion interior? Thoughts? We just bought a 2015 Excursion but haven’t taken delivery yet. We can hardly wait to start taking trips with it. We had a 24ft diesel and decided it was just too small for our long trips with 2 cats. Question – what is the best way to keep the light upholstery clean? Do you have any recommendations on which MH cover you think is best? When we upgrade from our TT to the MH soon, I would be storing it up in Prescott and want to cover it, not from the sun, but from the tree sap. But I hear horror stories of poorly made covers doing more harm and damage than good. If you haven’t done so already, it would be great for you to someday evaluate and recommend a cover for your RV. (Oh, and by “cover”, I mean the bag, or boat-style covers and not the metal awning carport styles). Thanks! What is a European-style awning? It’s the one with the “scissor” style arms. Our last 2 RVs had them and we think they’re great! New Excursion 33D, now 1week old. Build quality, buckled paneling (too tight to floor and ceiling), bedroom breaker box access – door will not open, installed incorrectly and cracked wood trim. Realize this is an entry level Diesel pusher, but for spending this much coin (paid cash), it is the poorest constructed vehicle I have seen. Now, instead of heading out for our first time RV experience, I have to head out to the closest Fleetwood dealer for warranty repairs. Fleetwood does not sponsor me in any way, they do not promote me on their company website and I did not receive a special deal for choosing their brand. This is Fleetwood. This is their meaning of quality. Have not even received the paperwork yet to license and register, but when I do, will put it up for sale and lose about 40 grand, but a loss I will take, rather than keeping this crap. Glad to hear you’ve purchased your first RV. Managing expectations is not something that dealerships do very well, any new RV will need a “break-in” period filled with trips to the service center and short camping trips. May I suggest the following: since your issues are not keeping you from traveling you may want to go on that first camping trip and afterwards take the RV in for repairs, this is called a “shakedown” trip and you will NO DOUBT find additional issues that need repair. I can honestly say we’ve never had a perfect RV and we’ve never met anyone that has a perfect RV…no matter how much money they paid or what brand they’ve purchased. Its not my place to tell you what brand is best, or try and tell you that the Excursion is a good coach, but what I can tell you is our Excursion has been the best RV (as far as service issues go) that we’ve lived in. I can also tell you that we have not had an issue with the breaker panel in the bedroom. We have had an issue with the wood paneling buckling by the fridge but its a simple cosmetic fix. If you don’t want to lose money by selling the RV I would contact Fleetwood directly and tell them your issues, they can best service your needs (dealerships are not typically great at repairing the physical or emotional damage that come with the purchase of a new RV). The use of automatic refrigirator lock makes me sometimes feel about locking unloking while igniting my RV. If I’m not mistaken, you upgraded Windy with a 3000 watt inverter and now you have a 2000 watt inverter. Has that posed any challenges? I agree the Girard is nice…maybe the best…but the price is too high for an entry level RV like ours. Our Vesta had a Carefree awning and it worked perfectly, more expensive than the Dometic but less expensive than the Girard. Thanks for sharing. I see that you have moved back over to the western Sierras, and since you have a few weeks before needing to get down to Pomona I was wondering if you were planning a visit to Sequoia N.P. / Kings Canyon? I don’t believe you have been there yet (I could be mistaken), but if you have the chance to go you should since you are so close. It is our favorite West Coast N.P. with great hikes, low crowds, cool temps from it’s high altitude, and mind-blowing scenery and views. This is not a place to find trendy restaurants or local brews but for a natural experience it cannot be beat – – Soaring mountains, huge trees everywhere, waterfalls, and expansive vistas looking over Kings Canyon and East towards Mt. Whitney. If you do decide to visit there we can make some great recommendations for hikes, places to go, things to see, etc.. Just be mindful that you will have to enter/leave through the North/Western entrance as they prohibit RV’s over 20′ on the southern road going to Three Rivers. Just too many tight hairpin curves. We have visited Sequoia and KC NP. One of our best memories from 2011! Unfortunately we’ve been so busy over these few years we’ve never shared the photos or video. Maybe one day we’ll catch up and get to do our personal passion projects…till then we’ll keep on truckin away on sharing the items we feel will be most helpful. Hopefully, you all will have some input with the design of the next Fleetwood. That’s the plan, Fleetwood wants to make the best possible RV so they are not only listening to our opinions but the opinions of other buyers…it’s a great step in the right direction. Would be great to have a digital shower control. Program a set his and her water temp. and water flow. My number one dislike is all the sharp edges that most MH people design inside. Corners of counters, cabinets, cabinet pulls, etc., any of them can hurt you if you’re trying to move around quickly or during travel, or sometimes just accidentally bump into them. Boat manufacturers are much better about this, including cabinet pulls that don’t stick out, and push to lock preventing them from flying open in rough water. They’d work great in a MH. Could apply the same principles–round the edge of anything a person may bump into, and supply a grab handle for safety in a few obvious places. So funny because we had just suggested the same thing in regards to the boat industry style cabinets. Great minds think alike! Presuming roof space is not required for solar panels, a vent retrofit is a possibility. I installed a Fan-tastic vent in a friend’s RV after consulting with the manufacturer about possible obstructions. It was a relatively easy job to saw through the ceiling and roof, and fortunately 12 volt lighting wiring was already in the ceiling so the power hookup was easy. Regarding general design feedback to Fleetwood, having bought a new Bounder three years ago, I was disappointed that I was never contacted for feedback on any design features. While they do learn of mechanical problems through warranty repairs, you would think that they would also value other owner feedback – the customer base is not so large that it would be prohibitive to do this. My heavens, how I hate the fussy appointments in nearly every affordable RV. I envy your very visible platform for feedback to Fleetwood. Hopefully other RV manufacturers will read your feedback too. Great job, Wynns, as usual! In addition to your usual awesomeness, you are great mind readers. I was about to send you a note asking for your candid, real-life assessment of the Excursion so far. And voila, here it is. Styling – Personally we find the interior styling of today’s coaches, in general, quite acceptable, noting that manufacturers are tasked with producing units that appeal to *most*. When I look at some 10-15 year old coaches, I run searching for the epicac. As for the outside swirls that Nikki so disdains, they do serve to add a visual diversion to the fact that it’s a big box rolling down the road. You can add clean, straight lines for sure, but it would only accentuate the boxy-ness of the coach. Why not make it more aerodynamic, rounding the sides and front, you ask? You can do that too, but it creates some design challenges and will often result in less storage space, particularly in cabinets. Faucets – we’ve had some crappy faucets in coaches in the past, but I wouldn’t let a crappy faucet keep me from buying a coach that otherwise fit the bill for us. Jason’s challenges notwithstanding, they are pretty easy to swap out. (I have a feeling you’ll do better on your next faucet swap, Jason). The front window treatments – this, I agree – we REALLY would prefer both day and night roller shades, on both the side windows and windshield. Curtains on the sides? Yikes. THAT is so 1990. Washer/Dryer – this is a good example of “to each his/her own”. It’s not a plus for us at all, and we would never trade the storage space for a washer/dryer. Then again, we are almost always at a campground with laundry facilities nearby. Even if we weren’t, it wouldn’t be that big of a deal. You mention the ideal coach size in the 30ft range. As with just about everything, that comes with trade-offs, and one of those is storage. Both outside and inside storage on any 30 foot coach are going to be limited. Add the space for a washer/dryer, even more so. We have a gasser now (Georgetown) but our next will most certainly be a DP, and the candidates for us, in order (so far) are: Fleetwood Excursion, Forest River Legacy, Winnebago Forza. BTW, if your travels bring you to the mid-South, and you’d like some inside looks into the music industry and the Grand Ole Opry, give me a shout. Mike, thanks so much for chiming in with your thoughts. As for the outside paint job I totally understand and agree there has to be some design there. We actually really liked the paint job on Windy (monaco vest) as well as her more aerodynamic body style. We would like to see more coaches that had a similar look or somewhere in between. Again, thanks so much for all the feedback! Thanks for the honest Excursion review – Very informative!  I agree with you about finding nothing better than the Excursion (in this size and price range) I have researched many RV’s and this is the best I have also found – without going larger and costing more $$. But my impression is, as you confirm, that bigger is not always better in an RV if you travel and boondock a lot. Maybe a 44 footer 13′ high is OK for the RV resort crowd where they stay in 1 place for months, but that seems like too much for me. Also agree with you about the dark interior and clunky interior colors. Of course, Fleetwood does offer 2 light color furniture choices other the black which you have, so I would imagine either of those would brighten the interior. I am surprised that you did not mention the lack of office space – both on the Excursion and as a general RV complaint – as most do not accommodate for PC usage anywhere. Yes – you can use the dinette table, but when you want to eat everything has to be cleaned off and put away. On the Excursion I see that there should be ample space to be able to build in a desk, with 2 wall mounted monitors, in the bedroom area opposite the bed, under the TV. As currently built that area looks like a sitting bench over 3 drawers, but I have a design which keeps 3 drawers, adds a desk top, chair and still gives a small sitting area while allowing for a full time PC desktop/work area. As for the lack of fan in the bedroom – I agree that bedroom ventilation is important. Can’t a fan be added in the ceiling?  Also – do you get much heat coming up from the engine which you are sitting over? You mentioned that you have taken on the challenge of designing a better RV interior for Fleetwood, and that is great! I have seen many RV interiors where I questioned both layouts and color choices, and wondered “what were they thinking” (re: RV interior designers). On some models I see offered now they are building in a real living room area with an L shaped couch facing the TV over a fireplace. It looks cozy and practical, and I hope to see more variations on that in new models. As always I enjoy your reviews and hope to be able to meet up with you both in Pomona in a few weeks. Richard, thanks so much for the comments! We also really love the L shaped sofas (which the bounder 33c has) and it makes the coach feel very cozy! We actually have a fold out table which we utilize as another desk and so the work space is ok (but could be way better). Desk/working space (at least 2) is something that will be in our next coach for sure! Yes Nikki – you nailed it! The 33c is exactly what I was thinking of. I think that is a great design for making some distinction between kitchen/living room/bedroom areas. I even emailed Fleetwood to see if they were going to add a new Excursion floor plan similar to this – – but NO they responded – not yet. Maybe with your pushing them a little harder . . . ?? So you have part of your answer already in your new user friendly RV design. Add some of the other items you mentioned and you’ve got it the Fleetwood Wynn’s Special Edition! Look forward to meeting you and Jason at the Pomona show. I could recommend some good eateries down here in OC (near Laguna Beach) but not that familiar with Pomona choices. But if you want to make your way down here we’ll treat you both and give you the tour. Good, honest opinion providing us usable information – as always. Thank you. Dislikes – 1)could be another couple minutes longer/more in-depth – we would still watch! 2) Jason could replace the curtains, make a video & help the rest of us do-it-yourselers. In-between – 1) Hmmm….somebody changed her hair. 2) Cats weren’t on for very long. As always – the Wynns are the best at bringing RV news & tips from the road – thanks! Bruce, glad you liked it and thanks for the love! Yes, I am currently trying to grow my hair out which is a visually painful process. So you may see lots of different colors over the next few months from me. Thanks again for the comments and thanks for watching! Oh no! Please don’t take me wrong – the “hair thing” was surprising, but by no means “visually painful.” We think you’re both lovely. Ha ha, sorry, I meant the growing out phase is visually painful for me and to prevent me chopping at it, I have a tenancy to color it (a lot). We just picked up our new 24′ Class C, (B+?) custom built by Nexus. Your review was spot on. Even though your RV is a class A and larger your dislikes must be RV standard. I canned the awning on the build because I could not stand all the “hardware” and will add a “European” style later. All the graphics with the paint job were nuts so we only had a one color paint job done with our own special accents. We took out our oven to add three nice drawers to hold dishes and the like. Had to replace the chintzy faucets with ones that are functional. Do like that cat loft though. Thanks for a great review. Congrats on the new coach! I would love to see a picture of that custom paint job! Glad to hear we are not the only ones that hate that awning (and the designs). My theory on the wild paint jobs is this; RV manufacturing processes leave the vast exterior sheet sidewalls in a wavy, rivet dimpled state. The wacky paint patterns mask the seams and rivets and waviness. Your minds’ eye sees the whole coach rather than any one shape such as a slide, door or hatch. Very helpful and anticipated review. I was wondering, where did you stay, or leave your coach for 10 days downtown Chicago? We stayed at the 18th street marshaling yard of McCormick Place. Great place to wild camp just 1 mile from the city. thanks for the review! Dual pane windows (and top notch insulation) are high on my list of needs, but how about this: why are all RVs so unaerodynamic? I would think that they would get waaay better mileage if they were more of a teardrop shape. I plan to be traveling when I get mine, so I bet many people don’t complain since they park theirs. What do you think – any chance of a major redesign there? Excellent overview guys. Very frank and direct. It’s great that you didn’t sugar-coat it and we’ll bet that Fleetwood values your honesty too, since their goal is to make rigs that people really want. You’re right on about the great benefit of being able to do laundry on board. We had pretty much the same Splendide combo unit in our first RV, but one of the top items on our wish list when we bought our 2nd motorhome was having separate washer and dryer. It was actually a non-negotiable factor when selecting our new rig. We know that you’re interested in smaller, not larger RVs, so our wants and needs aren’t exactly the same (and of course our clothes are a lot bigger than either of you pixies lol), but we would encourage anyone considering an RV that’s large enough to accommodate separate washer and dryer to go that route, especially if you’ll be full-timing. Our Maytag washer takes up the same space as a Splendide (24″ apartment size), but absolutely swallows huge loads of clothing. Amazingly, it holds as much as any typical full-size top loader and of course we can do a 2nd load while the first one is in the dryer. There is simply no comparison between wash day on our old rig and our new one. Absolutely night and day. Thanks again for taking the time to share your thoughts so frankly. It will surely help a lot of people. Ha ha, thanks for chiming in with your opinions guys! As for the windows, we actually had the dual pane pop out windows in our Vesta and really liked them. I can see where some might not like them as much for airflow but with the vents open we got lots of air circulating. Sad to say we won’t be making our way to BC this year 🙁 but we will be in the Desert Southwest! Any chance you will be making the pilgrimage down? We would love to see you both and as long as your dishwasher is on duty, I will do the cooking! Urghhhhh. We spend almost every winter in the desert SW…. but not this year. 🙁 We, and our dishwasher, will have to miss you and your fine cooking. Damn, that sounded like a sweet deal, too. We are determined to connect with you again sooner or later though. One of your dislikes is one of mine, faucet fixtures. It seems in order to get a good quality faucet with the RV you have to spend $200,000+ to get it. If I’m going spend $80-$120,000 for a new RV, I’ll be willing to pay $50-100 dollars (each) upfront for quality faucets. The low end of class A’s faucets are just crap. The RV industry must wake up! You nailed it Gary! We hope to see better faucets in the future as well! Good news is Fleetwood is taking all of our (and our readers) feedback very seriously. So we should see some fantastic changes in coming models! We are also full-timing in a Fleetwood and I have to keep a washcloth wrapped around the bathroom faucet to wipe up the water every time we use the sink. I know you installed a new faucet in yours. Was it a residential one, or did you need an RV specific one? Did it solve the problem? Thanks! What is a “European style” awning? What is magic about 30 feet in length? “European Style” awning is the type that doesn’t have all the hardware, just the arms that are built into the awning. There’s no magic at 30′, we feel its the perfect size for getting into just about anywhere. Really enjoyed your Fleetwood review. It clarified a number of things for us. We are in the shopping process and headed for the Hershey PA show early this morning. Sorry it’s not the CA show. We are pretty sure we know what we want – but we thought that a few times before. Thanks for the info. We appreciate your opinions and the quality of your videos. Thanks Elizabeth! Let us know what you end up with. We’re really happy with our Excursion, and we’re excited to see what they do with our input in the upcoming years. We have a Grand Design Solitude 369RL that we love. What would we change? A ceiling fan would be great, a outside vent for the micro and range would also be a welcome addition. What I love is the amount of counter space, storage and my huge pantry. Flooring is mostly woodgrained linoleum which is wonderful in a dirty environment. One last great thing, no “rv” window coverings. Ours look very residential. Since we got ours, 3 friends have also gotten one. Yea, not sure why all Microwave vents direct the air into the RV, kinda weird right? Are you telling me you don’t have valance covers? I need to look up this RV! Thanks for sharing. Jason, we do have valance covers, but they are monochromatic ( I so love big words!) So they don’t have that Granmas house feel. Ah Ha! Perfect. I looked up your rig and it looks spacious 🙂 Thanks for sharing. I will be in the market for a good quality reasonably priced coach in the near future. I was surprised when you mentioned the single pane windows. Does fleetwood offer double pane windows on any of their models? That was one of my requirements. I believe all new Excursion’s come with the frameless windows and the double pane is an option. Remember our unit is a 2014 that was built as a test model so it didn’t have all the bells and whistles. I have frameless awning windows in my Fifth wheel. They are great in the rain, but the also do not open as much as your windows so circulation is very limited when they are opened. Like most things there are trade offs. Based on your other comments on circulation, the awning windows may not be the best for you either. I guess having some of each might be the best option. Has Fleetwood said anything about the wind sensor not working? Do you know if the sensors are any better on the European type awnings? We had dual pane frameless windows in the Vesta and loved them. Fleetwood now offers these same windows on 2015+ models so that is good. The wind sensor is a Dometic issue, in my opinion it is a flawed design that does not work. The Carefree awning we had in the Vesta retracted perfectly and I never hesitated to leave the awning out when we left the RV. Unfortunately this Dometic awning is the industry standard. We have contacted Dometic but have not received any return phone calls. We’re doing our best to get Fleetwood to consider changing awning mfrs. Thanks for the interesting video but I had to comment on how cute your kitties are…. yes…they always steal the show. How do you run your AC on a 2000 watt inverter while Wild Camping..? I have the Go Power Elite system with 420 amps of battery and it will not run my AC.. Runs the fan and most everything else but not the cooling side. To run the A/C you would need way more battery and solar, I personally don’t think its realistic with an RV. Jason for more panels have you seen these? More batteries is still an issue however lithium battery costs are coming down due to market saturation and there are promising new battery chemistries that shrink the battery and charging times … In a few years lead acid won’t be practical due to weight / cost / size / performance vs smaller more efficient batteries. Hang in there! Your dream may come true. Lithium is awesome! Can’t wait to get it in our RV. I like the theme of this post! Can I steal it (with credit back to you guys, of course)? Please don’t steal it, but you’re welcome to share our video using the YouTube Embed Code, and feel free to link to our site if you feel your readers would like to read the article. You’ll have to remember Fleetwood RV of the 80’s is not the same as the 2014+. A new company owns Fleetwood and they have been aggressively hiring extremely talented people to design, engineer and create their newest line of RVs. I’m not trying to make excuses, or tell you that any RV will be without issue, but things in the RV industry have changed drastically over the past 20 years. I seem to remember you where going to do a comparison, between your old rv, and new rv..
It’s a great topic, would you mind asking on our Crowdsourced Content Page https://www.gonewiththewynns.com/crowdsourced-travel-content ? This is where we’d like to keep new content requests. Thanks. Thanks! I enjoyed the video. I had a few observations about RVs in general. I don’t mind the swirly paint jobs, but what’s with the current trend of black roofs? That seems amazingly silly to me to have a big heat absorbing part of your home be black! I guess it might make sense in the winter, but most RVs aren’t built for winter use. Make it white, or at least a light gray or tan. Another thing is that I don’t mind all the interior patterns in modern RVs, but what’s with all the brown? With the exception of Roy and Winnebago’s retro eye-popping yellow, every single interior I’ve seen is all a bunch of different shades of tan. Where’s the color? No blues, greens, reds, oranges, whites, etc. I’d even prefer a bunch of different types of gray over the tan. No selection there at all. I’m with you on the pop-out, flush-mount, dual-pane windows. The RV industry seems to move kind of slow compared to rest of the modern world, but it seems that’s where the industry is heading. I wish there were ANY bigger RVs that had plywood-free construction, or at least used formaldehyde free plywood. The only exception I know of are small, lightweight fiberglass trailers, but I can’t find one over 20 feet long (I’m looking for something closer to 30 feet long, maybe larger). Airstream trainers are kind of cool, but they still use plywood floors. I also don’t see any talk of what kind of plywood is used in RVs. Seems to me that RVs leak from time to time, so using marine-grade plywood would be best, but I don’t see anyone talking about that. Maybe I haven’t dug deep enough yet. I need to make a trip to an RV show this year so I can get some more info. Black Roof – I have not seen this and I agree a black roof seems like a horrible idea. Colors – Beige is a safe color, so RV mfrs try to be safe and appeal to the masses, that is why you’ll see 20 shades of Beige/Brown in an RV. If you like grey/silver check out the Fleetwood Bounder, its the “coolest” color tone RV we’ve seen in a while. Frameless Windows – I think the frameless windows are standard now in new Excursion’s, so that’s a good step in the correct direction. Plywood – I don’t know of any plywood free RV’s but I can tell you Fleetwood has told us they use US wood that is formaldehyde free. They do use a marine plywood in places that get wet. RV Show – You can ask the salesman, but I would try to find the factory rep to ask these types of technical questions. You can also try and take a factory tour if you live anywhere near an RV mfr. Hope this helps get you started in the proper direction. Thanks a bunch! Yeah, there’s just so much to learn. I really need to get in front of some reps to ask questions. break -> brake. Feel free to delete this comment after you find it. Haha, yep we’re not the best when it comes to grammar. Just wondering if you ever considered a trailer rather than an RV? I’m a big fan of Airstream trailers and also 5th wheel trailers. Any thoughts on those? We could not imagine driving a truck across the country with our two cats in there with us. That’s pretty much the deciding factor for us. We’re just not truck people so the idea of always driving a truck wasn’t appealing. As for Airstream the major downside is storage inside an out…I think it would work for a part-time traveler but we carry a bunch of stuff for all seasons and I’m not sure where it would all go in an Airstream. 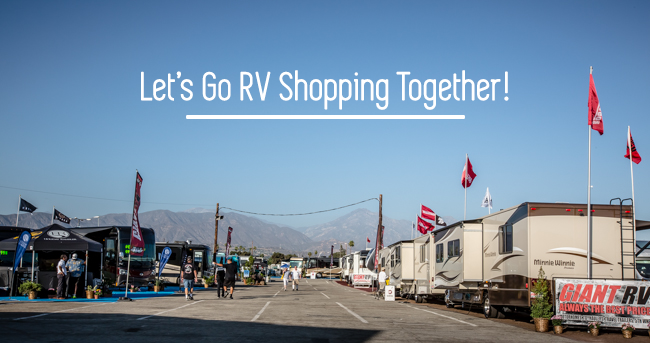 Let’s all go RV Shopping Together!